If a New Year's Eve adventure vacation leaves you yearning for a good knees up, head off to experience some of the best parties around the world to welcome 2018 with the bang of fireworks and the pop of champagne corks. 1. The Maldives With a myriad of beautiful islands to choose from, the Maldives are a no-brainer for a New Year's Eve party with family and friends. The islands offer a tranquil getaway with breathtaking scenery, a variety of restaurants, resorts, spas and plenty of sites for your diving bucket list. Make a beeline for the W Maldives resort for their New Year's Eve extravaganza and the ultimate winter escape. Where to anchor Two anchorages are available on a permanent basis for yachts up to 140 metres, so you can simply drop anchor and tender to the resort. Alternatively, catch a seaplane from Male Airport, which takes approximately 25-40 minutes. You can also make the most of the resort's 24 metre private yacht, which is available for day and overnight charter. Where to party Start the day with a sunset cruise with Champagne and canapés at 5.30pm before heading to the W New Year's Eve Gala Dinner at 9pm then continuing the party at FIRE Beach, where there will be fireworks, cocktails, entertainment including DJ sets and a magician show and dancing until the early hours. Where to recover The W Maldives AWAY spa has everything needed for a full New Year's Day comeback. Indulge in a luxurious massage, body treatment or facial and unwind with an aromatic steam bath or a tropical rain shower. For the ultimate rejuvenation, opt for the bespoke 110 minute New Year spa package, which includes a chocolate body scrub, a chocolate wrap or express facial, a signature massage and credit on the range of spa products. If you're feeling up to it, work out in the fully-equipped fitness centre while looking out over the Indian Ocean or simply relax with a movie or go for a gentle swim in the turquoise waters. If a New Year's Eve adventure vacation leaves you yearning for a good knees up, head off to experience some of the best parties around the world to welcome 2018 with the bang of fireworks and the pop of champagne corks. With a myriad of beautiful islands to choose from, the Maldives are a no-brainer for a New Year's Eve party with family and friends. The islands offer a tranquil getaway with breathtaking scenery, a variety of restaurants, resorts, spas and plenty of sites for your diving bucket list. 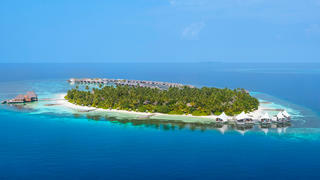 Make a beeline for the W Maldives resort for their New Year's Eve extravaganza and the ultimate winter escape. Two anchorages are available on a permanent basis for yachts up to 140 metres, so you can simply drop anchor and tender to the resort. Alternatively, catch a seaplane from Male Airport, which takes approximately 25-40 minutes. You can also make the most of the resort's 24 metre private yacht, which is available for day and overnight charter. Start the day with a sunset cruise with Champagne and canapés at 5.30pm before heading to the W New Year's Eve Gala Dinner at 9pm then continuing the party at FIRE Beach, where there will be fireworks, cocktails, entertainment including DJ sets and a magician show and dancing until the early hours. The W Maldives AWAY spa has everything needed for a full New Year's Day comeback. Indulge in a luxurious massage, body treatment or facial and unwind with an aromatic steam bath or a tropical rain shower. For the ultimate rejuvenation, opt for the bespoke 110 minute New Year spa package, which includes a chocolate body scrub, a chocolate wrap or express facial, a signature massage and credit on the range of spa products. If you're feeling up to it, work out in the fully-equipped fitness centre while looking out over the Indian Ocean or simply relax with a movie or go for a gentle swim in the turquoise waters. With a winter season packed with exciting events, parties and festivals, the island of Grenada is a great alternative to the usual New Year's party destinations. Saint George is certainly one of the best Caribbean party spots, offering a variety of barefoot luxury and traditional Grenadian beach bars, so if partying is a high priority for hailing in 2017, Grenada is a must. Where to anchor The Port Louis Marina can berth 160 yachts up to 90 metres and offers a plethora of bars and restaurants to keep guests fed and watered, alongside a number of activities ideal for anyone discovering Grenada on a luxury yacht. Where to party You won't have to venture far from your luxury yacht to find Grenada's most famous New Year's Eve celebration. Port Louis Marina's watering hole, Victory Bar, will be hosting the New Year's Eve party, complete with DJ sets, famous local artists, food and cocktails. The pool area will be reserved for VIPs and Veuve Clicquot champagne will be flowing at midnight. Where to recover Head straight to the Calabash Luxury Boutique Hotel & Spa to indulge in a hot stone massage and a yoga class, followed by a well-deserved nap by the pool or on the golden sandy beach. Treat yourself to a Bloody Mary to see you through to a sumptuous dinner in Rhodes, the Calabash Hotel restaurant. With a winter season packed with exciting events, parties and festivals, the island of Grenada is a great alternative to the usual New Year's party destinations. Saint George is certainly one of the best Caribbean party spots, offering a variety of barefoot luxury and traditional Grenadian beach bars, so if partying is a high priority for hailing in 2017, Grenada is a must. The Port Louis Marina can berth 160 yachts up to 90 metres and offers a plethora of bars and restaurants to keep guests fed and watered, alongside a number of activities ideal for anyone discovering Grenada on a luxury yacht. 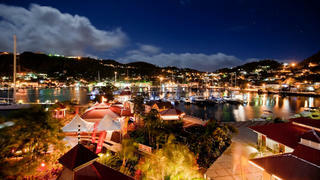 You won't have to venture far from your luxury yacht to find Grenada's most famous New Year's Eve celebration. Port Louis Marina's watering hole, Victory Bar, will be hosting the New Year's Eve party, complete with DJ sets, famous local artists, food and cocktails. The pool area will be reserved for VIPs and Veuve Clicquot champagne will be flowing at midnight. Head straight to the Calabash Luxury Boutique Hotel & Spa to indulge in a hot stone massage and a yoga class, followed by a well-deserved nap by the pool or on the golden sandy beach. Treat yourself to a Bloody Mary to see you through to a sumptuous dinner in Rhodes, the Calabash Hotel restaurant. 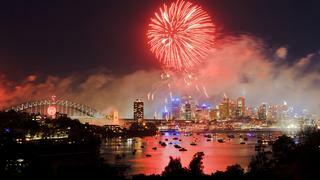 The Sydney New Year's Eve fireworks display is world famous and not to be missed. With an astonishing number of fireworks soaring into the sky over the city, reflecting off the Sydney Opera House and the harbour, the best way to watch is from your luxury yacht. The main arsenal is discharged from Sydney Harbour Bridge but the display is repeated all along the harbour from barges, so everyone gets a view. Really, everyone: 1.6 million people, a 14th of Australia’s population (give or take the odd tourist), pack the foreshore of Sydney Harbour on New Year’s Eve. Indeed, it is painfully crowded for those staking out a patch of grass by the water and those who pay for ticketed events. Get the best view of the world’s most spectacular New Year fireworks display from a superyacht, floating serenely in the harbour. *Where to anchor your superyacht in Sydney for New Year's Eve * Yachts that have cleared customs simply liaise with harbour control and pilotage is not compulsory (but is available) for recreational vessel over 30 metres. These yachts anchor in an assigned area opposite Bradleys Head that offers a “gun barrel view of the harbour and all fireworks barges” on New Year’s Eve in Sydney, says Joachim Howard, director of Australian yacht charter and management company Ocean Alliance. Sydney Superyacht Marina at Rozelle offers outstanding facilities for yachts of up to 70 metres a few minutes from the heart of the city, while its external site Campbell’s Cove takes two vessels up to 90 metres opposite the Opera House. Where to party Sydney is packed with trendy, boutique cocktail bars – the Lobo Plantation in the CBD and Eau de Vie in Darlinghurst are fresh favourites. The Opera House holds a Midnight Party from 10.30pm, while further into town the Ivy Pool Club is hosting a New Year’s Eve bash at its chic, 1960s Palm Beach-inspired venue. Ultra-hip hangout Bondi Icebergs holds a fantastic New Year’s Day party. Where to recover Get out of town. Russell King, captain of 37 metre Sydney charter yacht Tango, says, “Following the New Year’s Eve festivities, we often head north, just 15 miles from Sydney Harbour, to the very peaceful Broken Bay – Pittwater area. There are many calm anchorages, surrounded by national parks – a great place to chill out or enjoy watersports.” If you are looking for inspiration on where to head after New Year's Eve don't miss our nine day itinerary around Sydney Harbour. The Sydney New Year's Eve fireworks display is world famous and not to be missed. With an astonishing number of fireworks soaring into the sky over the city, reflecting off the Sydney Opera House and the harbour, the best way to watch is from your luxury yacht. The main arsenal is discharged from Sydney Harbour Bridge but the display is repeated all along the harbour from barges, so everyone gets a view. Really, everyone: 1.6 million people, a 14th of Australia’s population (give or take the odd tourist), pack the foreshore of Sydney Harbour on New Year’s Eve. Indeed, it is painfully crowded for those staking out a patch of grass by the water and those who pay for ticketed events. Get the best view of the world’s most spectacular New Year fireworks display from a superyacht, floating serenely in the harbour. Yachts that have cleared customs simply liaise with harbour control and pilotage is not compulsory (but is available) for recreational vessel over 30 metres. These yachts anchor in an assigned area opposite Bradleys Head that offers a “gun barrel view of the harbour and all fireworks barges” on New Year’s Eve in Sydney, says Joachim Howard, director of Australian yacht charter and management company Ocean Alliance. Sydney Superyacht Marina at Rozelle offers outstanding facilities for yachts of up to 70 metres a few minutes from the heart of the city, while its external site Campbell’s Cove takes two vessels up to 90 metres opposite the Opera House. Sydney is packed with trendy, boutique cocktail bars – the Lobo Plantation in the CBD and Eau de Vie in Darlinghurst are fresh favourites. The Opera House holds a Midnight Party from 10.30pm, while further into town the Ivy Pool Club is hosting a New Year’s Eve bash at its chic, 1960s Palm Beach-inspired venue. Ultra-hip hangout Bondi Icebergs holds a fantastic New Year’s Day party. If you are looking for inspiration on where to head after New Year's Eve don't miss our nine day itinerary around Sydney Harbour. Thailand’s beaches offer the full range of options for New Year’s Eve: from utter peace among film set-worthy beauty in the Andaman islands to the hedonistic abandon of the Full Moon Party on Koh Phangan. Phuket is a happy medium between the two, getting the balance of escapism and nightlife just right. The five star hotels on the western flank of the island put on dazzling pyrotechnics. “Anchor in Surin beach and watch the fireworks display which is staged by the Amanpuri resort,” says Gordon Fernandes of Asia Pacific Superyachts. “The best place to watch is on board a superyacht.” *Where to anchor your superyacht to celebrate New Year's Eve in Phuket * Yacht Haven Phuket Marina, on the north eastern side of Phuket and 15 minutes from the airport, can accommodate vessels up to 70 metres in length. It has the full range of yacht facilities, including a chandlery and specialist yacht engineers, plus amenities like a swimming pool, making it a fantastic base for a New Year’s Eve in Phuket. Where to party New Year’s Eve in Phuket isn’t complete without a party. Yachties who are on the guest list can join in beach celebrations at the Amanpuri resort, which will be followed by the Culinary Extravaganza, fireworks display and beach party. Where to recover For a luxury take on a fried breakfast, load up on oysters, rib eye, foie gras and caviar at the New Year’s Day brunch of the Oriental Spoon restaurant at the Twinpalms resort. If you are too delicate for food, have your captain head north to locals’ favourite Banana Beach. Tender in with a bottle of water and some aspirin, and lie down until the palm trees stop spinning. Thailand’s beaches offer the full range of options for New Year’s Eve: from utter peace among film set-worthy beauty in the Andaman islands to the hedonistic abandon of the Full Moon Party on Koh Phangan. Phuket is a happy medium between the two, getting the balance of escapism and nightlife just right. Yacht Haven Phuket Marina, on the north eastern side of Phuket and 15 minutes from the airport, can accommodate vessels up to 70 metres in length. It has the full range of yacht facilities, including a chandlery and specialist yacht engineers, plus amenities like a swimming pool, making it a fantastic base for a New Year’s Eve in Phuket. 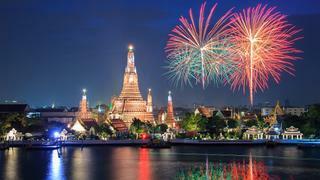 New Year’s Eve in Phuket isn’t complete without a party. Yachties who are on the guest list can join in beach celebrations at the Amanpuri resort, which will be followed by the Culinary Extravaganza, fireworks display and beach party. For a luxury take on a fried breakfast, load up on oysters, rib eye, foie gras and caviar at the New Year’s Day brunch of the Oriental Spoon restaurant at the Twinpalms resort. If you are too delicate for food, have your captain head north to locals’ favourite Banana Beach. Tender in with a bottle of water and some aspirin, and lie down until the palm trees stop spinning. Miami is a party town year-round, but it really comes into its own on New Year’s Eve. There are firework displays in towns all along the coast and the best views going are those from a superyacht anchored off Miami Beach. The scene ashore puts on a pretty spectacular show, too. There’s such a bounty of food and nightlife you can easily find yourself only returning to your superyacht at sunrise. *Where to anchor your superyacht for New Year's Eve in Miami * If you’re looking for superyacht marinas in Miami, Sunset Harbour Yacht Club on Miami Beach caters for yachts of up to 45.7 metres and is conveniently located for provisioning. As well as a location in the heart of South Beach and a full list of amenities, it provides an Olympic-sized heated swimming pool. Alternatively, the new superyacht marina Island Gardens Deep Harbour has opened on Watson Island and can host superyachts measuring up to 167 metres. Additionally, opt for the new One Island Park compound where yachts of up to 60 metres can be accommodated in deep water berths. Be sure to brush up on some of the other top superyacht marinas in Miami before your trip. 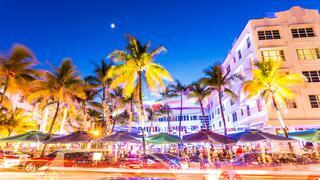 Where to party Miami nightlife is an ever-morphing landscape of hot spots, but a raspberry mojito at the Delano hotel on South Beach is a perennially cool start to a night out – our favourites are the FDR at Delano and the glorious Art Deco Rose Bar. Afterwards, the Basement at the Edition hotel will be one of the hottest tickets in town. Where to recover Start with a decadent brunch at the local branch of Asian super-chain Zuma. Now for some pampering. The spa of the Standard hotel has a pared-back Miami style that is immediately calming. It is famous for having one of the largest hammams in the Americas, although the "Fall Triple Detox", which combines a body cleanse and massage to banish toxins, may better soothe a hangover. If you don’t feel ready for public view, the Mandarin Oriental spa has six large VIP spa suites and a wide variety of treatments to aid in your recovery. Heavenly. Miami is a party town year-round, but it really comes into its own on New Year’s Eve. There are firework displays in towns all along the coast and the best views going are those from a superyacht anchored off Miami Beach. The scene ashore puts on a pretty spectacular show, too. There’s such a bounty of food and nightlife you can easily find yourself only returning to your superyacht at sunrise. If you’re looking for superyacht marinas in Miami, Sunset Harbour Yacht Club on Miami Beach caters for yachts of up to 45.7 metres and is conveniently located for provisioning. As well as a location in the heart of South Beach and a full list of amenities, it provides an Olympic-sized heated swimming pool. Alternatively, the new superyacht marina Island Gardens Deep Harbour has opened on Watson Island and can host superyachts measuring up to 167 metres. Additionally, opt for the new One Island Park compound where yachts of up to 60 metres can be accommodated in deep water berths. Be sure to brush up on some of the other top superyacht marinas in Miami before your trip. Miami nightlife is an ever-morphing landscape of hot spots, but a raspberry mojito at the Delano hotel on South Beach is a perennially cool start to a night out – our favourites are the FDR at Delano and the glorious Art Deco Rose Bar. Afterwards, the Basement at the Edition hotel will be one of the hottest tickets in town. Start with a decadent brunch at the local branch of Asian super-chain Zuma. Now for some pampering. The spa of the Standard hotel has a pared-back Miami style that is immediately calming. It is famous for having one of the largest hammams in the Americas, although the "Fall Triple Detox", which combines a body cleanse and massage to banish toxins, may better soothe a hangover. If you don’t feel ready for public view, the Mandarin Oriental spa has six large VIP spa suites and a wide variety of treatments to aid in your recovery. Heavenly. The Out Islands of the Bahamas are a gorgeous get-away-from-it-all sort of destination for families and friends to usher in the New Year together. Taking in the Exumas, home to some of the most exclusive private islands owned by celebrities, the archipelago has plenty of pristine beaches but blessedly few people. You’d never guess Miami was only a few hundred miles away. Pierre Phippaz, captain of 41.45 metre charter yacht Griffin, sums up the options for a charter in the Out Islands: ‘You could do Highbourne Cay [in the Exuma chain] if you want a completely isolated island, Staniel Cay Yacht Club if want a little bit more life, or Harbour Island, off Eleuthera, if you want more options but still have that local feeling.’ *Where to anchor your superyacht for New Year's eve in the Bahamas * The dock at Staniel Cay Yacht Club can accommodate yachts up to 56 metres and draughts of up to 3.6 metres even at low tide. It has the standard amenities like fuel, electricity, fresh water etc, but as appealing is the properly laid-back Bahamian atmosphere – the sense of escapism starts here. Where to party Staniel Cay Yacht Club in the Exumas holds a typically Bahamian pig roast with the welcome addition of Champagne plus a masquerade party and fireworks on the beach. To the north, Harbour Island’s New Year’s Day Junkanoo street parade (pictured above) is a must-see. The Out Islands of the Bahamas are a gorgeous get-away-from-it-all sort of destination for families and friends to usher in the New Year together. Taking in the Exumas, home to some of the most exclusive private islands owned by celebrities, the archipelago has plenty of pristine beaches but blessedly few people. You’d never guess Miami was only a few hundred miles away. The dock at Staniel Cay Yacht Club can accommodate yachts up to 56 metres and draughts of up to 3.6 metres even at low tide. It has the standard amenities like fuel, electricity, fresh water etc, but as appealing is the properly laid-back Bahamian atmosphere – the sense of escapism starts here. Staniel Cay Yacht Club in the Exumas holds a typically Bahamian pig roast with the welcome addition of Champagne plus a masquerade party and fireworks on the beach. 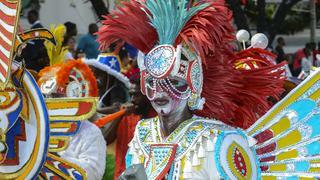 To the north, Harbour Island’s New Year’s Day Junkanoo street parade (pictured above) is a must-see.